The 51s beat Salt Lake 7-4 at Cashman Field on Wednesday night. 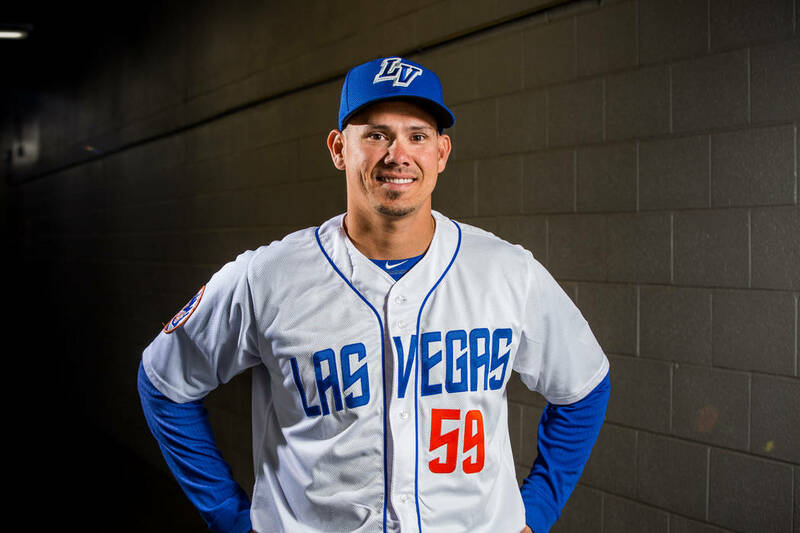 The 51s’ postseason hopes, which were slim to begin with for most of the season, were dashed last week after a sweep at the hands of first-place El Paso. Wednesday, their fate was officially sealed as the team was eliminated from contention. With less than two weeks left in the season, manager Tony DeFrancesco said the goal for his team is to climb back above .500. The 51s (63-65) took a step in that direction Wednesday, beating Salt Lake 7-4 at Cashman Field. The teams traded leads in the first five and a half innings before Christian Colon’s two RBI double in the bottom of the sixth helped break open a 2-2 tie and put the 51s up for good. The two-run lead was in jeopardy in the top of the seventh when Kyle Regnault walked the bases loaded, but Tim Peterson came on to relieve him, getting Bees first baseman Matt Thaiss swinging on an offspeed offering to end the threat. From there, Las Vegas scored three more runs in the bottom of the seventh on RBI hits from Bryce Brentz and Luis Guillorme. Both Peter Alonso and Jose Lobaton had homered earlier in the game off Salt Lake (66-62) starter Griffin Canning. Canning gave up just four hits in his 4 2/3 innings of work, two of which came from Lobaton, who hit a double to go along with his home run. Canning was outdueled by Las Vegas starter Scott Copeland, who went six innings and gave up two runs on seven hits. “I feel like after the second inning, he was locating more balls in, mixing the change a lot and the slider,” Lobaton said. “That was big for him. I feel like to see a starter going for six, that’s pretty good. That helps the team a lot. The righty struck out seven in his outing, and pitched over a few jams, minimizing the damage.